Fairfields Farm, a snack firm based in Colchester, UK has acquired its Manchester-based peer Ten Acre for an undisclosed sum. Ten Acre produces a range of handcooked crisps and has more recently branched out into popcorn, which it markets in flavours such as wasabi, fennel and lemon, cappuccino, and strawberries & cream. Foodbev reports that the acquisition was motivated in particular by Ten Acre’s export activities, with the firm currently selling its product range in 45 countries. Describing the deal as an “exciting step”, Fairfields Farm founder Robert Strathern said: “Ten Acre has the same values as Fairfields, so we felt they were a good fit. Plus, their experience and rapid growth in export, opens-up opportunities for us. Joining forces means taking the best attributes of both brands and growing the Ten Acre and Fairfields brand together, for continued success”. Tony Goodman, co-founder and chief operating officer at Ten Acre, added: “We have a synergy with Fairfields Farm; both believing in great taste and premium quality. Export is to be a focus at Fairfields – this is great for Ten Acre, as we recently received the award for Export Champion from the Department for International Trade. 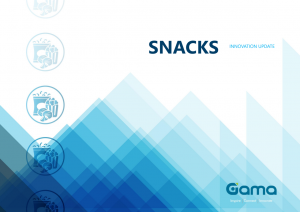 Our joint attributes and parallel thinking will push both brands forward to become a force to be reckoned with in the snacking sector”.